ST. LOUIS – Sixteen people have been chosen to sit on a newly-created Ferguson Commission. Gov. Jay Nixon announced the creation of the commission in October to quell the violence, fear, and lack of trust in the community that erupted in the days following the shooting death of 18-year-old Michael Brown. "You don't have to see eye-to-eye to walk arm and arm," said Ferguson Commission co-chair Rich McClure. "We've had too much of 'you and them' and not enough of 'we and us' and 'together.'" The members of the commission were announced Tuesday afternoon on stlpositivechange.org, and were sworn in during a news conference held by Nixon. "Day two, back when Mike Brown was first murdered, that's when I went to Ferguson. Now day 102, I'm here on the commission to represent the youth," said Rasheen Aldridge, a student member of the commission. "We feel our lives don't matter." The announcement comes one day after Nixon issued an executive order declaring a state of emergency in the area and activating the Missouri National Guard. Under the governor's executive order, the St. Louis County Police Department will assume control of the unified command, which includes the St. Louis Metropolitan Police Department and Missouri State Highway Patrol. The state police will handle all local law enforcement requests for the Missouri National Guard. Michael Brown was shot and killed by Officer Darren Wilson on August 9. The grand jury convened August 20. 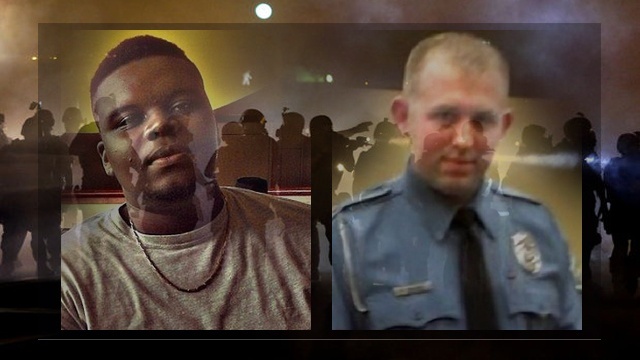 Witnesses and police have provided conflicting accounts of Michael Brown's death. Police claim Brown struggled with Wilson inside his police car, then reached for Wilson's weapon. Brown's family and some witnesses said Wilson killed Brown as he raised his hands in surrender. Truman Robert "T.R." Carr, Ph.D.